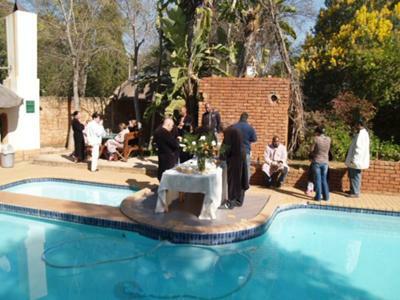 A Day and Moonlight Spa yet to be discovered on the brink of the Pretoria West Moot in the splendid, picturesque natural environment of the Pretoria Magalies Mountains. Tranquility, privacy and individual attention, superb treatments and high quality food and beverages. With us you are treated individually (one therapist per client for all treatments) - you are NOT a mere number in a row! Our Day Packages includes 6-8 hours treatments of one hour each (quality breakfast, lunch, two teas included - live music when available). "With us, quality exceeds quality" and is still affordable - do not pay too much! Why wait? Contact us immediately and visit our websites for more information. Phone and book NOW with Ronel Davey 082 781 2582 for our "Fabulous Specials".